Our products are made for the people and people we will indeed meet in the local markets throughout our wonderful land. 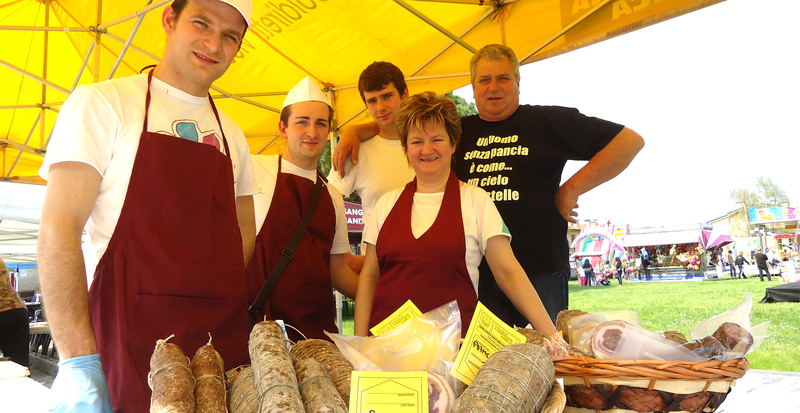 Casa Cason takes part in traditional local markets and street markets to showcase its cold cuts while meeting people. Each event is a chance to make people taste a slice of congeniality when they pass by our stand. The salami by Casa Cason captivate your taste with their flavour and genuineness, it is our customers who tell us this when they come back to buy more of them. In fact, customers’ satisfaction is our satisfaction and encourages us to help them with increasing care. We wait for you at the next market. Stefano will inform you through our website or our Facebook page.